From 1863 the business was listed as Frederick and Samuel Turnbull, but in 1869 they filed a list of their debts and liabilities under bankruptcy proceedings. However, in 1882 the business was listed as ‘Turnbull, F. & S. & Co. (J.L. 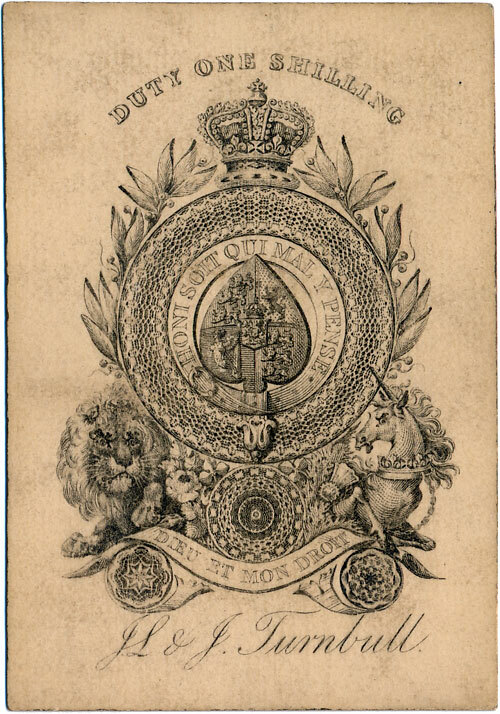 Turnbull & J. Turnbull, of Holywell Mount), established 1780, paper & fine art cardboard manufacturers, inventors & patentees’. The 1780 date has not been traced elsewhere. 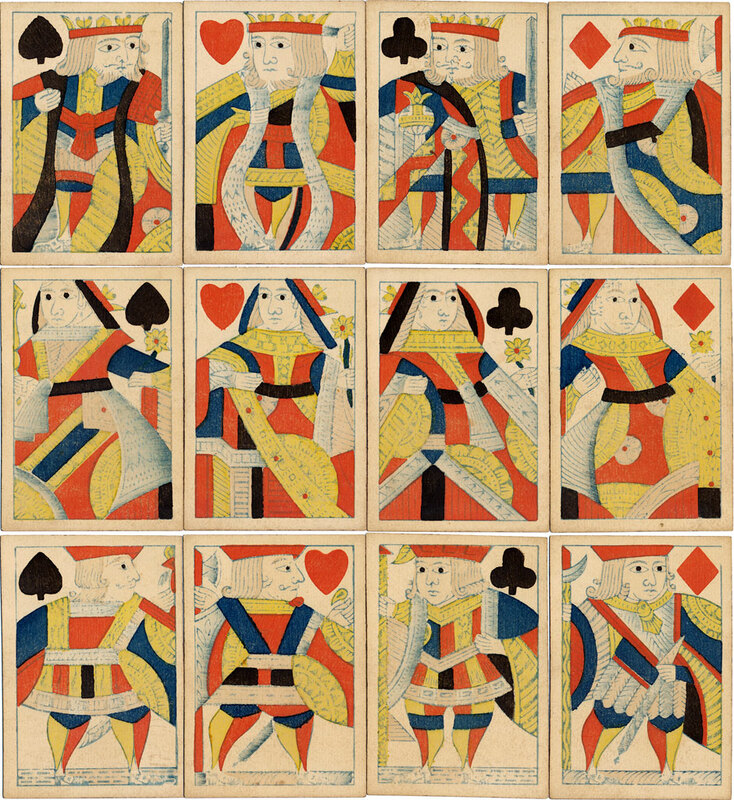 Above: standard English playing cards manufactured by J.L. & J. Turnbull, woodblock & stencil printing, London c.1840. 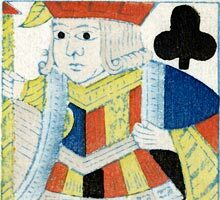 The eyes were originally printed in blue, but the pupils have been coloured with black ink afterwards, which is rather unusual. The style of the court cards, especially the eyes, is similar to those manufactured by Reynolds during the same period. Images courtesy Barney Townshend. National Portrait Gallery: British artists' suppliers, 1650-1950, online directory, Sept 2012.